Tom Funk says his bar and restaurant located at 400 North Morton Street in Franklin has flooded at least five times in the last 3 years "I'd like them to fix it for good." This is the second time in three years that Funk has reached out to RTV6 for help. In 2016, he reached out to us after a flooding incident. At the time, we reached out to INDOT which made some improvements to the drainage system along with his right of way. FRANKLIN, Ind. 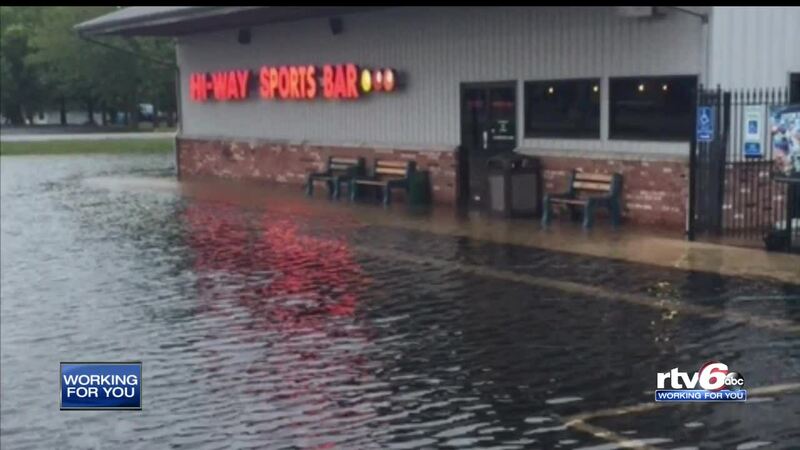 --A local business owner has experienced repeated flooding. His Hi-Way Lanes bowling alley has been spared but not his bar and restaurant, and it’s gotten so bad that he’s looking at nearly $150,000 in repairs just for his parking lot. "I'd like them to fix it for good." This is the second time in three years that Funk has reached out to RTV6 for help. In 2016, he reached out to us after a flooding incident. At the time, we reached out to INDOT which made some improvements to the drainage system along with his right of way. But the current situation is so bad he's looking at having to shell out $150,000 to repair his parking lot. The flooding issue has re-emerged with a vengeance, especially during periods of heavy rainfall on November 5, 2017, and on September 8. 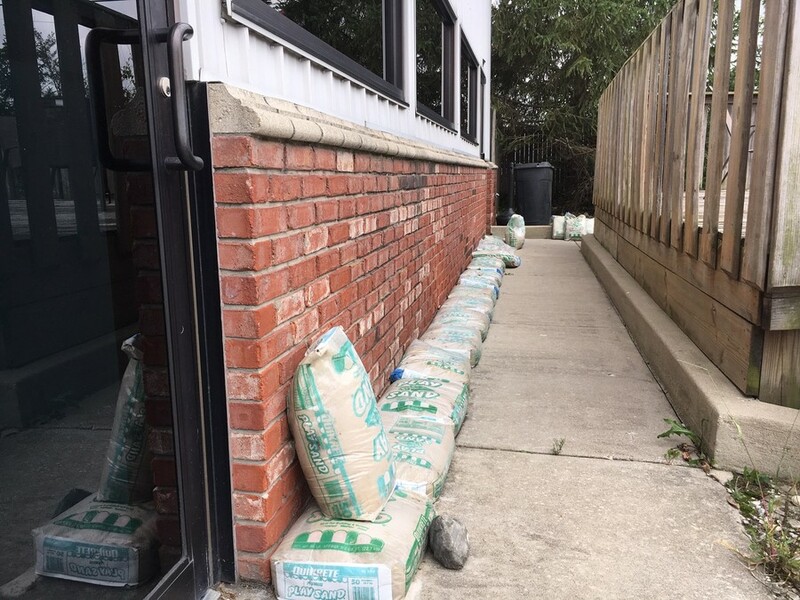 "When we think it's going to start to flood we put sandbags in front of the doors to cover the cracks in the door. If it only comes up an inch. It's not going to get in." Funk isn’t just standing by waiting for things to get better on their own. He’s taken lots of precautions when it comes to the flooding at his business. Sandbags surround a portion of his bar to keep threatening water at bay, the beer and other stock is all stored on a wooden crate, and never on the floor and squeegees are on standby – just in case. Besides replacing carpeting with tiles, the ice machine is also on the higher ground. "Anything over two to three inches in a five to six hours period we get worried,” said Funk. It turns out, Duke Energy had placed a pole in his culvert in November of 2012, which it turns out, cut through the pipe and contributed to the blocking the flow of water away from the business. The pole as removed September 4th and moved to a new location. The city of Franklin has since returned to the property to fix that drainage pipe. It is unclear how much those repairs cost, but Duke Energy tells RTV6 that they will repay the city for those repairs. The city – and Funk – hope that the fixed drainage pipe will alleviate any future flooding issues.